Decorate your home in a stunning, game inspired fashion with this fantastic customisable wall sticker! 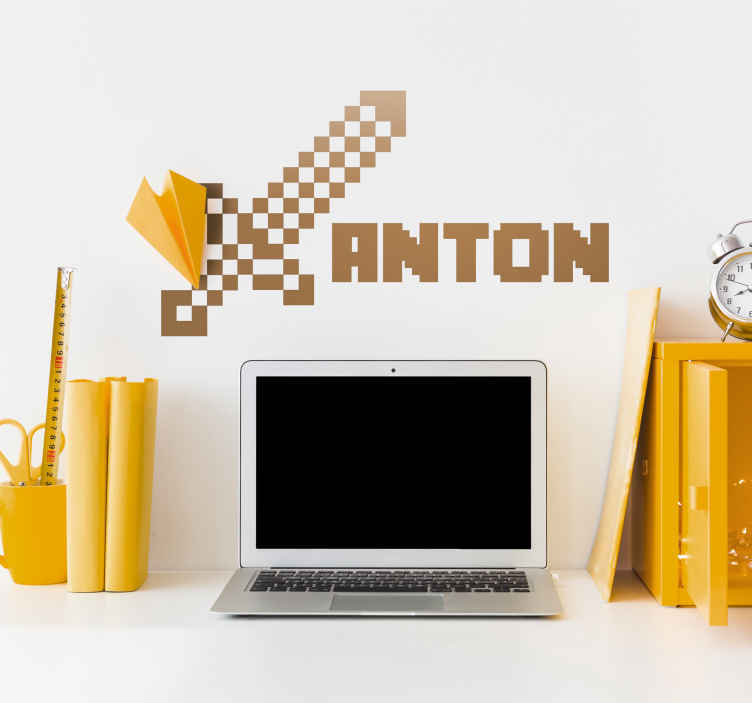 Minecraft is one of the most popular board games in the world today, so why not pay tribute to it with this superb 8 bit style wall game decal! Can be customised with any name of your choosing, so whether it be a first name, surname or any other text you think might look great, we have just the customisable bedroom sticker for you!